Professional card maker lets you design any card you want, without computer or drawing skills required. 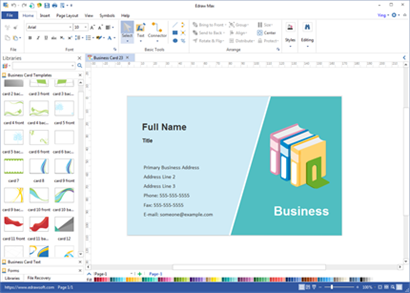 It has drag-and-drop interface and SVG-compatible integrated environment that can draw a number of types of cards and export them to a variety of graphical formats. Lots of built-in elements are ready to choose from. 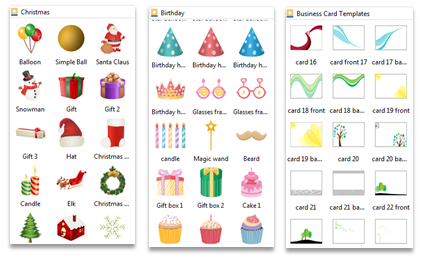 No matter what card you create, business card, birthday card or greeting card, you have pre-made elements to start. The elements are not just pictures; they are vector graphics which allow you to further edit if you need. There are a lot of customizing options out there to make engaging cards. You can fill a selected shape with a solid color, gradient color, texture, or pattern. Apply colors from the quick color bar or pick from the infinite color palettes. Insert local images to your card with a simple click. 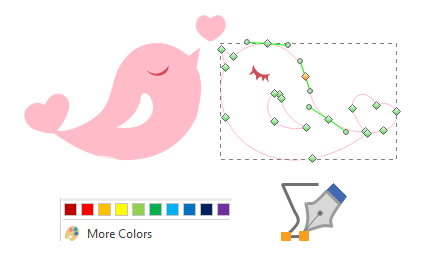 Use Pen tool to draw any graphic you want. Print or share your card instantly when finish. The Card Maker offers a series of options to export and share your card. 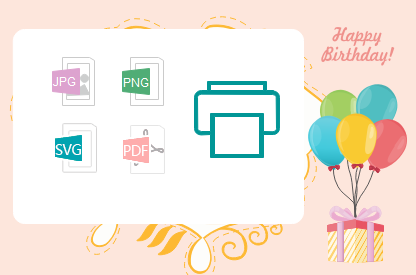 Go to the Export menu, and 1 click to save your drawing as JPEG, SVG, PNG, BMP, PDF, HTML, PS, EPS, GIF, Word, etc. A Card Maker You Will Need, Love and Enjoy! Create your own card with this highly flexible tool. It easily manages business card, greeting card, invitation card, holiday card, birthday card, and any card you can think of. 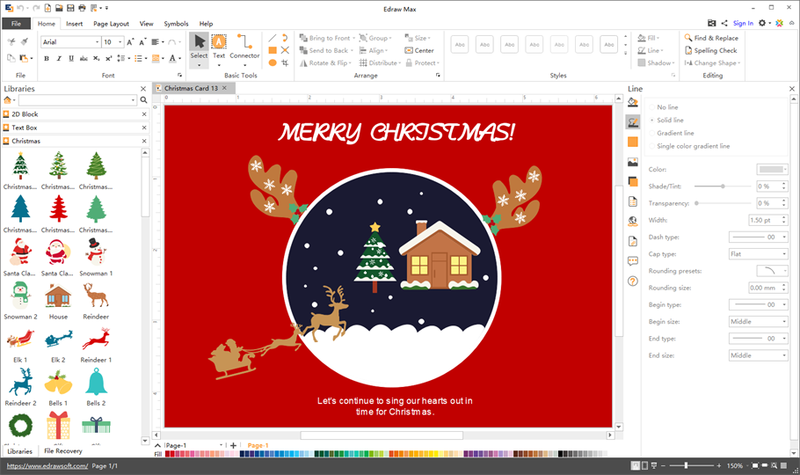 It integrates the drag-and-drop and pen-drawing functions together so that you can actually create cards with any style you want. Try it now!